One of Upper Michigan’s most magical seasons is fast approaching. The forests of the Porcupine Mountains and Ontonagon County turn vibrant shades of red, yellow and orange, a beautiful contrast to the sparking blue of Lake Superior. Now is the ideal time to book a trip—lodging is still available, so be sure to secure a place to enjoy the show. Here’s why you should reserve your lodging today. All our lodging properties are located in the heart of fall beauty—look out your window and you’ll see the colors you came here for. Our resorts and hotels are all near the scenic overlooks and trails of the Porcupine Mountains Wilderness State Park, unforgettable forested driving routes and the picturesque shoreline of Lake Superior. Use this map to help discover lodging options and see where our properties are in relation to attractions, dining, shopping and waterfalls. Our lodging properties offer a blend of amenities to meet the needs of any traveler. Many of our properties have free high-speed wireless internet so you can stay connected on your trip and share photos and videos with folks back home. Some properties offer kitchenettes and comfortable living spaces that give you extra room to stretch out and relax, no matter the size of your group. Some other options you can find here: pet-friendly lodging, lodging with an on-site bar/restaurant, free cable television, lake access and more. You can also find stores and lodging properties that rent kayaks, canoes, bikes and more. 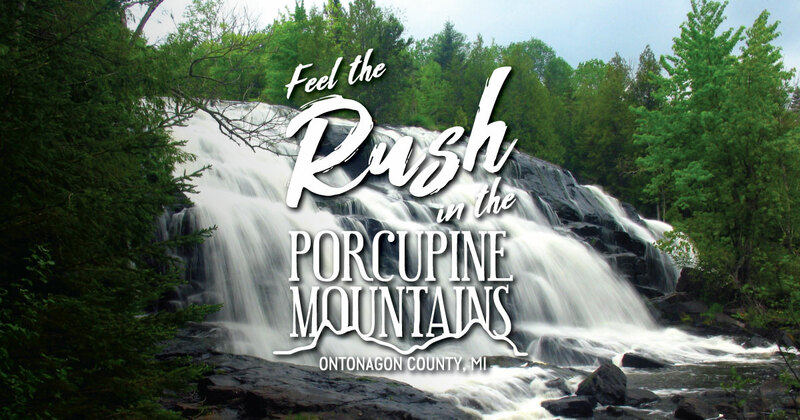 In the Porcupine Mountains and Ontonagon County, an outstanding fall experience doesn’t mean an outrageous price tag. There are lodging options here to fit any budget, making this area the perfect escape for solo travelers, couples, families and empty nesters. The western U.P. is also a reasonable drive from many major cities in the Midwest, so your travel costs won’t break the bank. Lodging fills up quickly so make your reservations now—we’ll be awaiting your arrival.